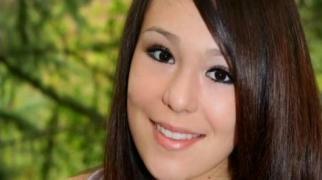 Audrie Pott killed herself after photos of an alleged sexual assault were shared through social media. Folks in the South Bay were on hand for a special Sunday screening of a Netflix Original Documentary that is set to debut this weekend. The film, coined "Audrie and Daisy," dives into the world of social media bullying and highlights the sexual assault cases involving two teenage girls, including one from Saratoga, who faced droves of humiliation and ridicule after reporting their victimization. "Audrie and Daisy," which debuted at the 2016 Sundance Film Festival, came into existence after Saratoga teenager Audrie Pott took her own life at the age of 15 following bouts with bullies. Pott was sexually assaulted in 2012 and later scorned on social media after pictures taken by her assailants surfaced publicly. Those in attendance at the Los Gatos Theatre, including the family of Audrie Pott and California State Senator Jim Beall, watched the film before participating in a panel discussion. Filmmakers are hoping to inform the public and ignite a discussion about the dangers surrounding sexual violence and online bullying.